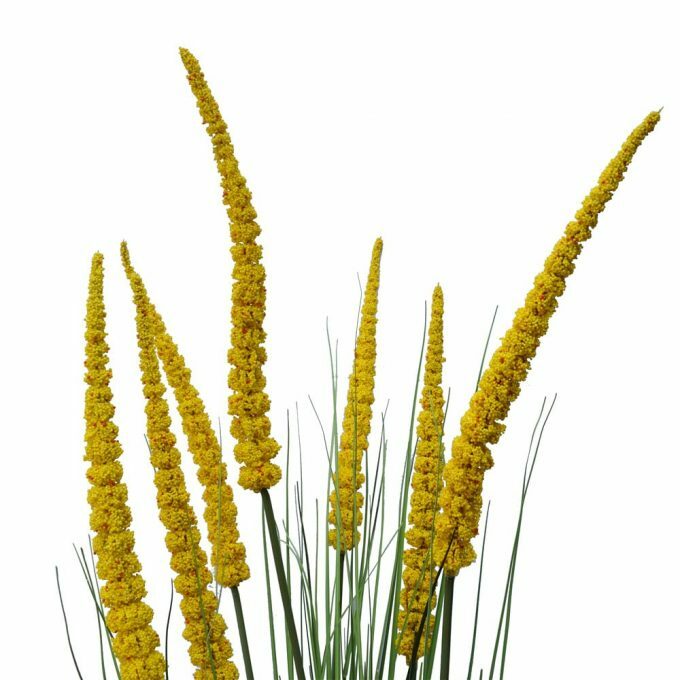 This beautiful Spear Grass Plant is known as a summer-growing grass. The dark green colour of it’s spear leaves and lovely yellow flowers makes this an exquisitive sight to behold. 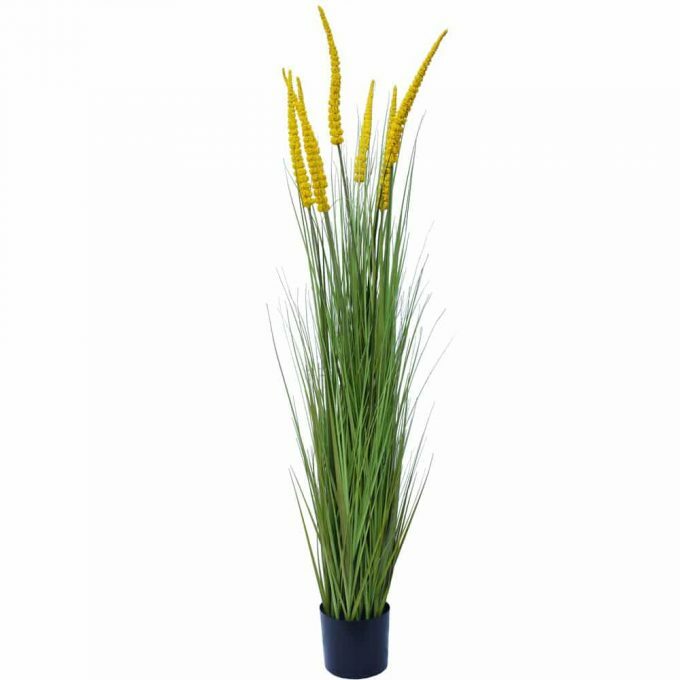 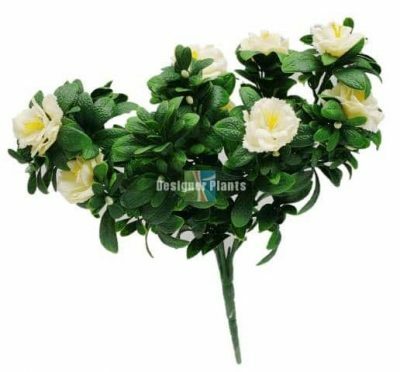 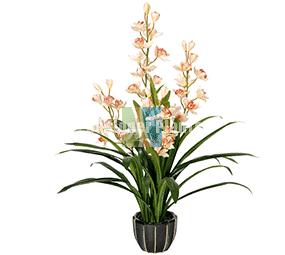 Perfect as a stylish center piece of decoration in your interiors anywhere at home or in the office. Made of high quality silk fabrics, plastics and wire that are ROHS compliant, guaranteed to be safe from hazardous chemicals. 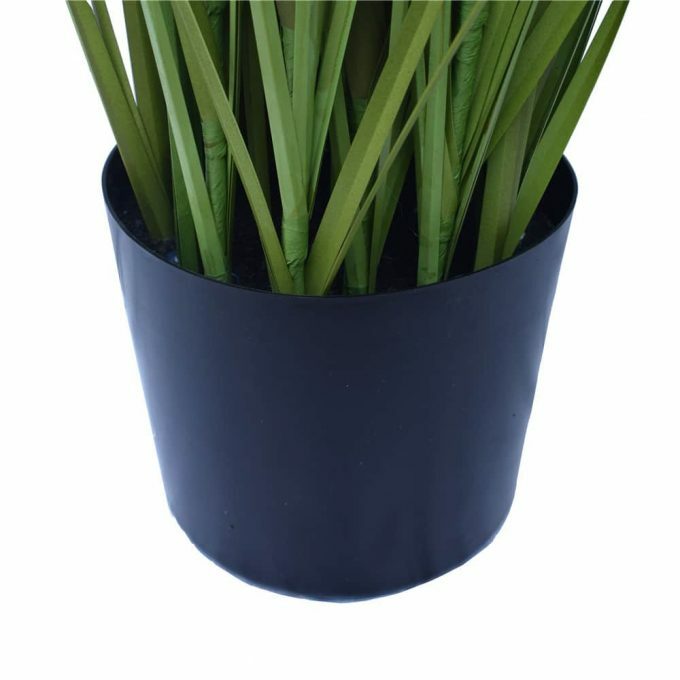 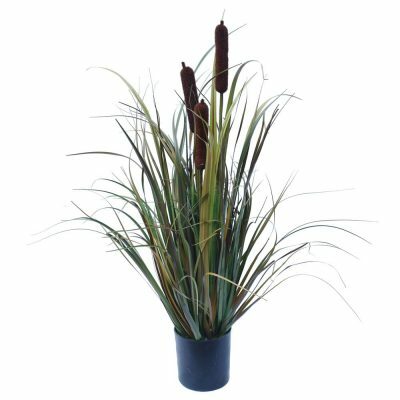 This artificial Spear Grass is a unique and stunning eye catching piece in your space.